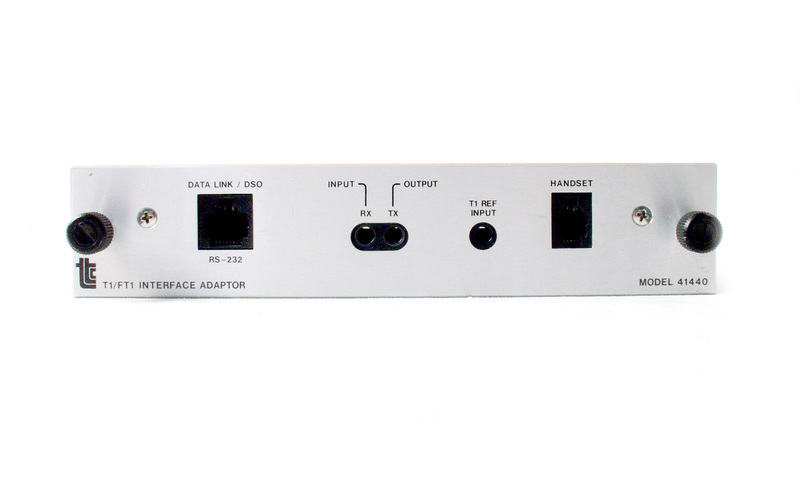 TTC 10770 Interface Extender for Fireberd Analyzers. 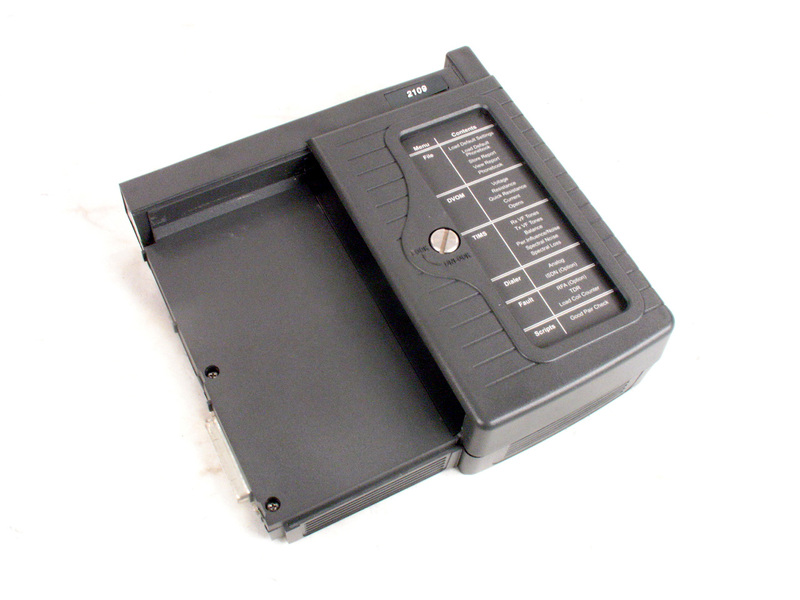 Allows front panel interface access. TTC T-Berd 107A Handheld T-1 Test Set with option 2 & 5. 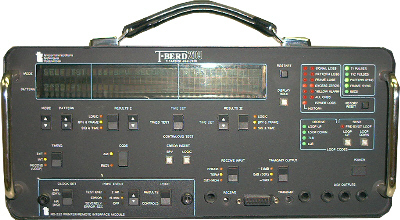 TTC T-Berd 107A Handheld T-1 Test Set with option 2, 3, & 5. TTC 121 Dual line remote T1 monitor. 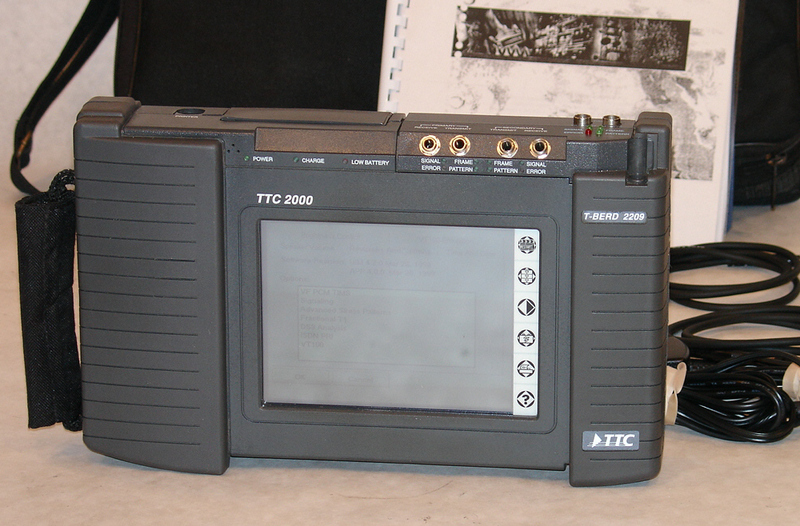 TTC 209A T-Berd T-Carrier Analyzer. TTC Option 06 for T-Berd 209A / 211. Fractional T1. 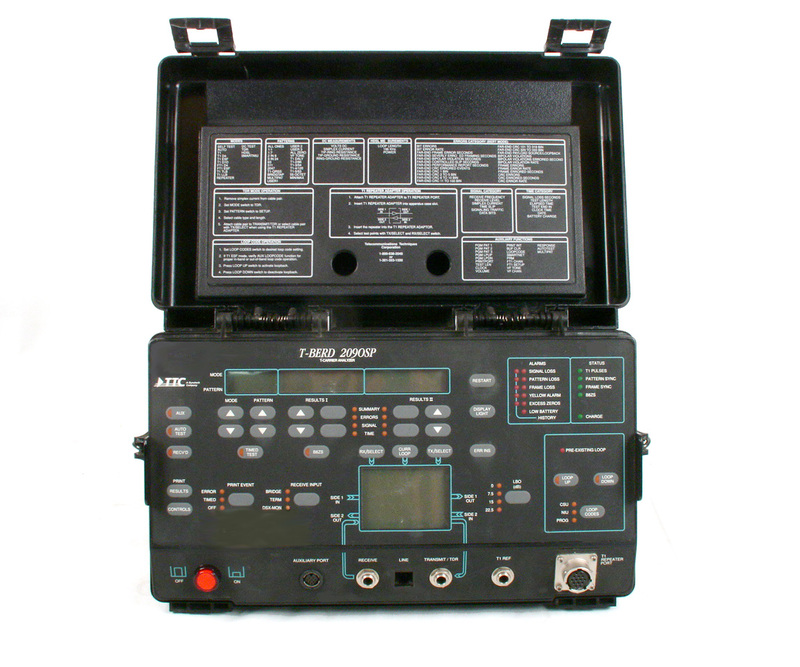 TTC T-Berd 209OSP - Test Set in rugged case for field use. Tests T1 / DS1 Circuits. Includes DC & TDR options. 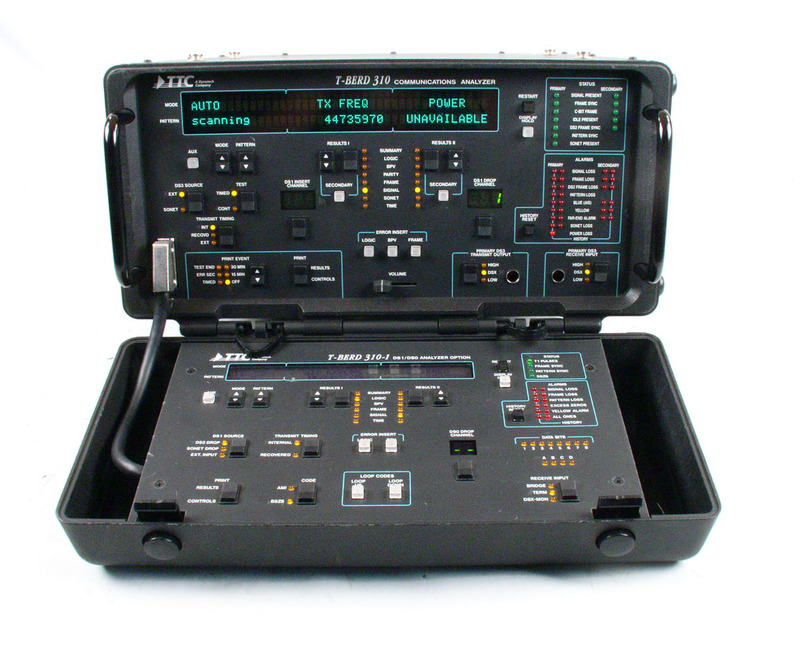 TTC T-Berd 209OSP - Test Set in rugged case for field use. Tests T1 / DS1 Circuits. Includes options 1,3,4,6. 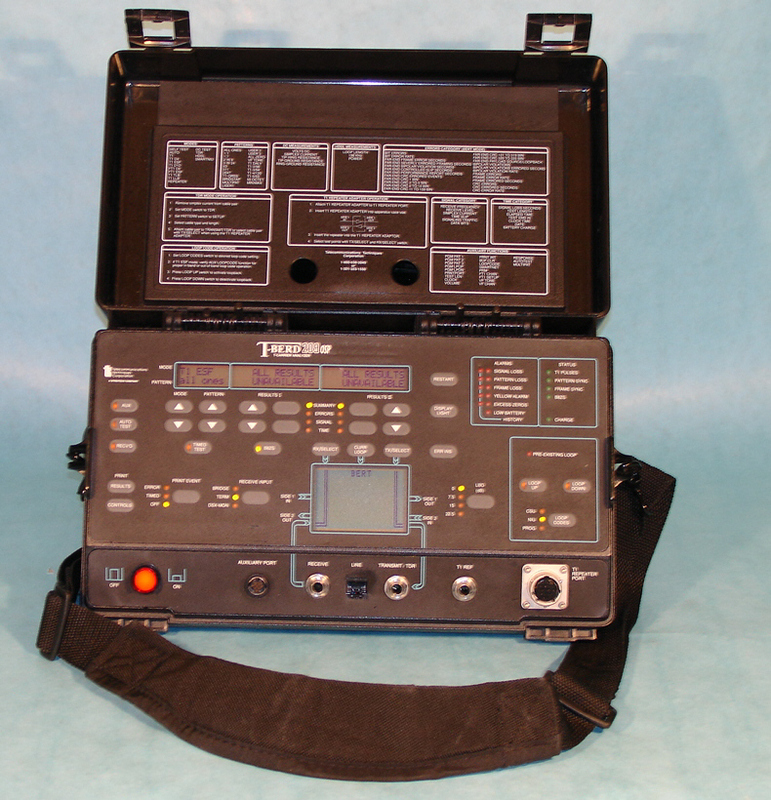 TTC T-Berd 209OSP - Test Set in rugged case for field use. Tests T1 / DS1 Circuits. opt 1,3, and 4. TTC T-Berd 209OSP - Test Set in rugged case for field use. Tests T1 / DS1 Circuits. Includes six options. 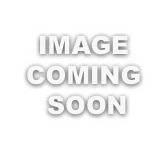 TTC T-Berd 209OSP - Test Set in rugged case for field use, no options. 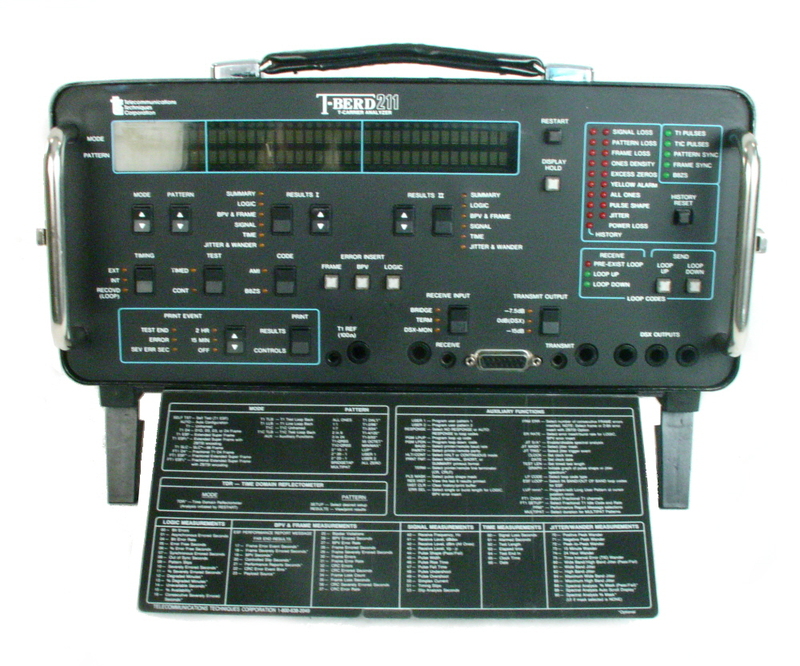 TTC T-Berd 209OSP - Test Set in rugged case for field use. Tests T1 / DS1 Circuits. Includes all available opts. TTC T-Berd 209OSP - Test Set in rugged case for field use. Tests T1 / DS1 Circuits. With 4 options. 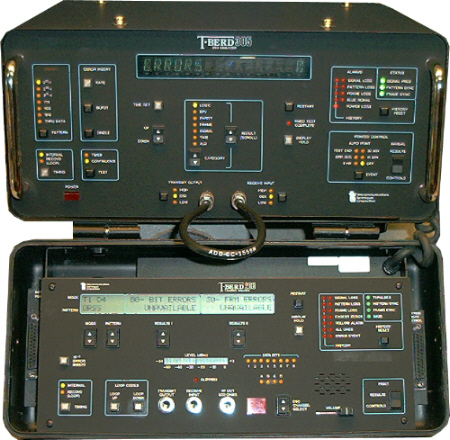 TTC T-Berd 209OSP - Test Set in rugged case for field use. Tests T1 / DS1 Circuits. Includes five options. TTC 2109 - Copper analyzer module for testpad 2000 (not included). One button testing for all copper services. Includes RFA / RFL option. TTC 2109 - Copper analyzer module for testpad 2000 (not included). One button testing for all copper services. 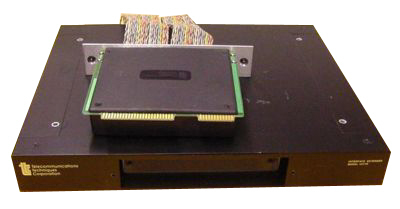 TTC T-Berd 211 T-Carrier Analyzer with jitter analysis. TTC 2209 - Communication Test Set with DS1, ISDN PRI & More. Color Display. TTC 2209 - Communication Test Set with DS3, DS1, ISDN PRI & More. Color Display. TTC 305 DS3 Analyzer with Options 1A, 2, 3A, 4 & 7 . 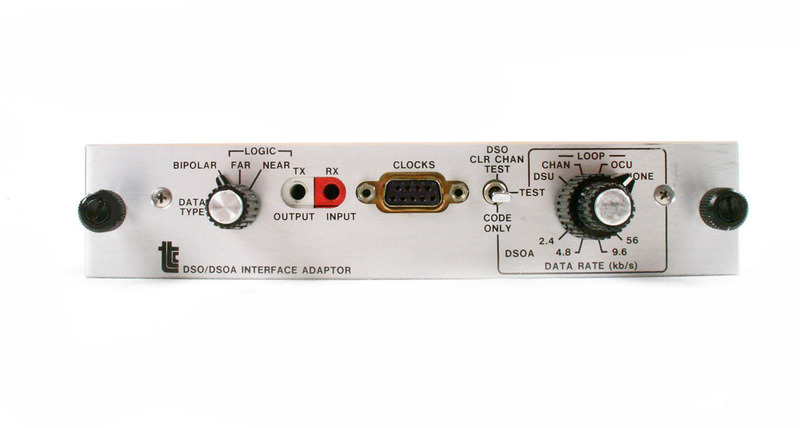 TTC 305 DS3 Analyzer with Options 1, 3A, 4 & 7 . 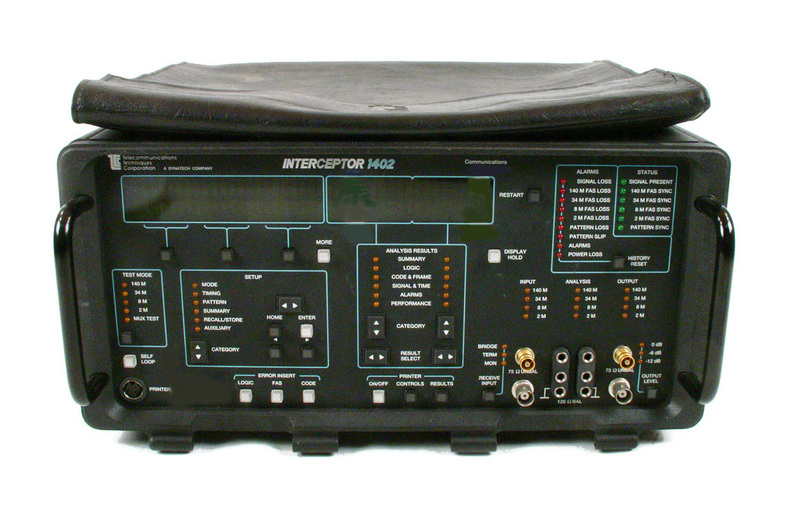 TTC Acterna T-Berd 310 DS-3 communications analyzer. No options. 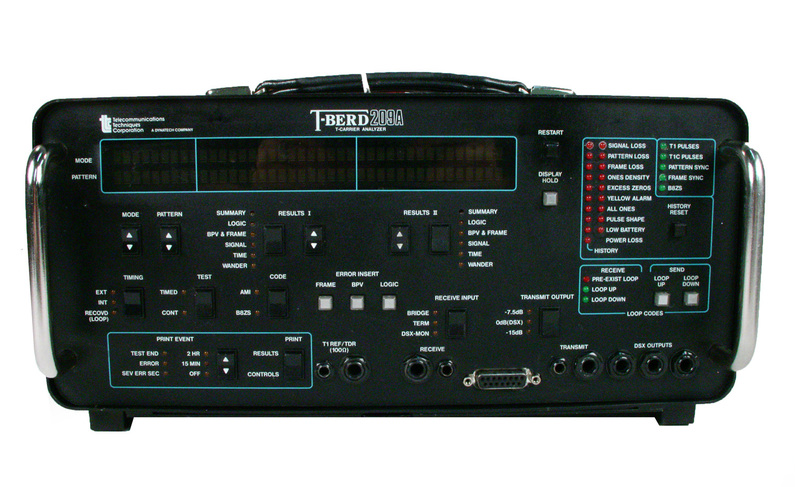 TTC Acterna T-Berd 310 Communications analyzer for OC-48, OC-12, OC-3, DS-3, STS-1, OC-1, DS-1, DS-0. Includes options 310-1, 3, 5, 9B, 14R, 14T, 11, 12, 21, S, 10. TTC Acterna T-Berd 310 Communications analyzer. Includes options 1, 3, 9B, 10 & 11 plus Sonet. TTC Acterna T-Berd 310 Communications analyzer for OC-3, STS-1, DS-3, DS-1, E-1, DS-0. TTC Acterna T-Berd 310 Communications analyzer. Includes options 1, 5, 6, 14R, 14T, 15, & S.
TTC 310 Acterna T-Berd communications analyzer for OC-12, OC-3, STS-1, DS-3, & DS-0. Options included S, 1, 12, 14T & 14R. 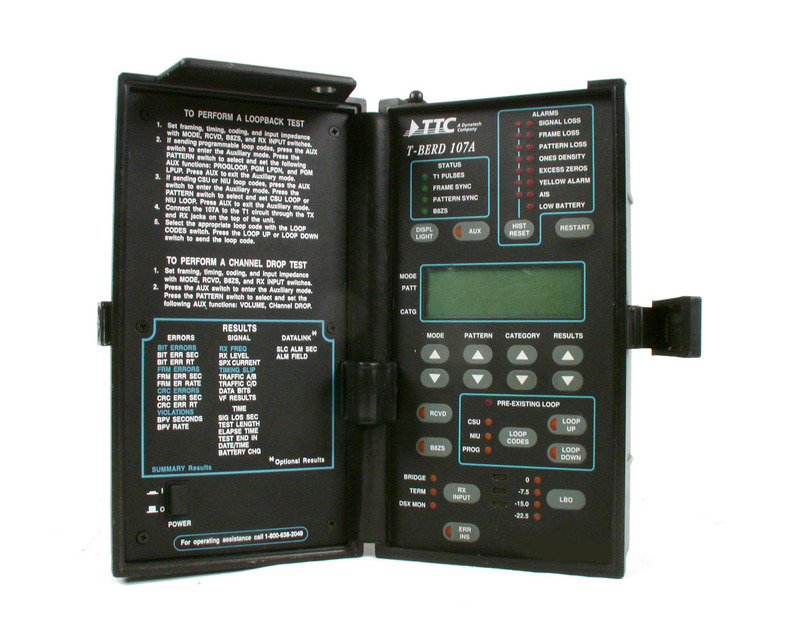 TTC Acterna T-Berd 310 Communications analyzer for OC-48, OC-12, OC-3, DS-3, STS-1, OC-1, DS-1, DS-0. Includes options 310-1, 2, 5, 6, 9B, 10, 11, 12, 14R, 14T, 21, S.
TTC Acterna T-Berd 310 Communications analyzer for OC-12, OC-3, STS-1, DS-3, DS-1, E-1, DS-0, and more. 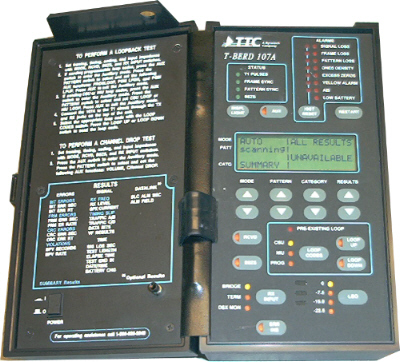 TTC Acterna T-Berd 310 Communications Analyzer includes options S, 1, 2, 3, 6, 9B, 10, 14R, 14T, 15, 16 & 17. 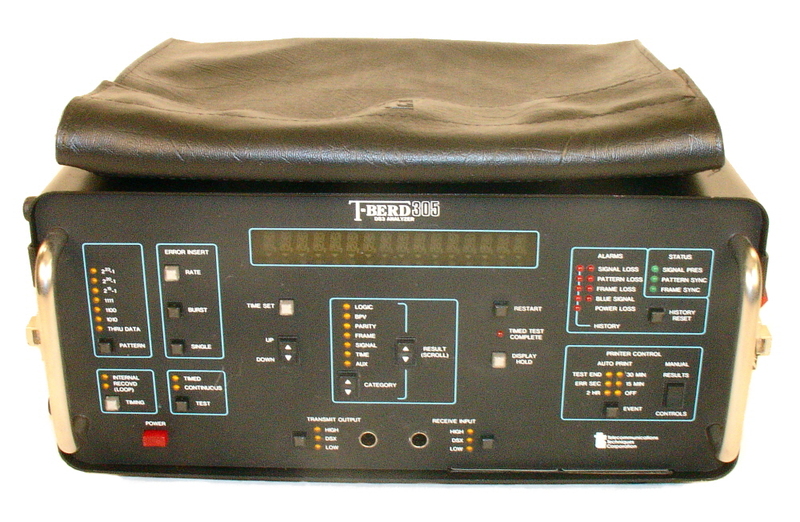 TTC Acterna T-Berd 310 Communications analyzer. Includes options 1, 3, 5, 9. 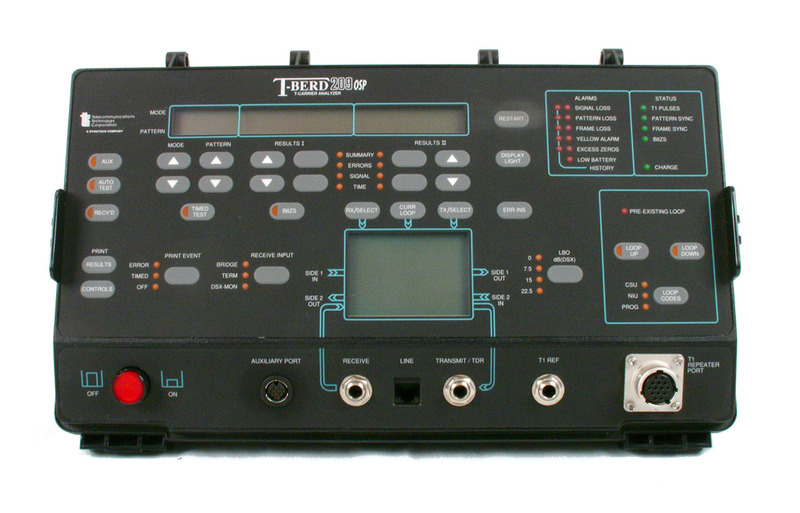 TTC Acterna T-Berd 310 Communications analyzer for OC-3, STS-1, DS-3, DS-1, E-1, DS-0, with jitter. TTC Acterna T-Berd 310 Communications analyzer. Includes options 310-1, 5, & 6. TTC Acterna T-Berd 310 Communications analyzer. Includes options 1, 3, 9B, 10 & 11. TTC Acterna T-Berd 310 Communications analyzer for OC-3 to DS0. Jitter, Optical Media, ATM, Sonet, Loaded!! 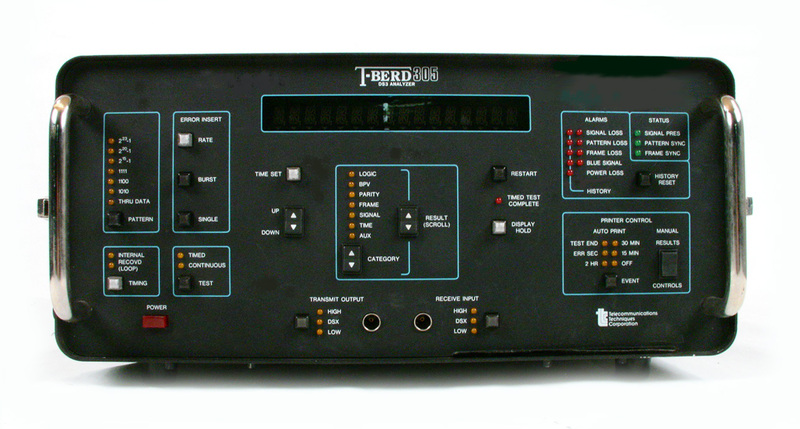 TTC Acterna T-Berd 310 Communications analyzer. Includes options 1, 3, 5, 9A, 10 & 11. 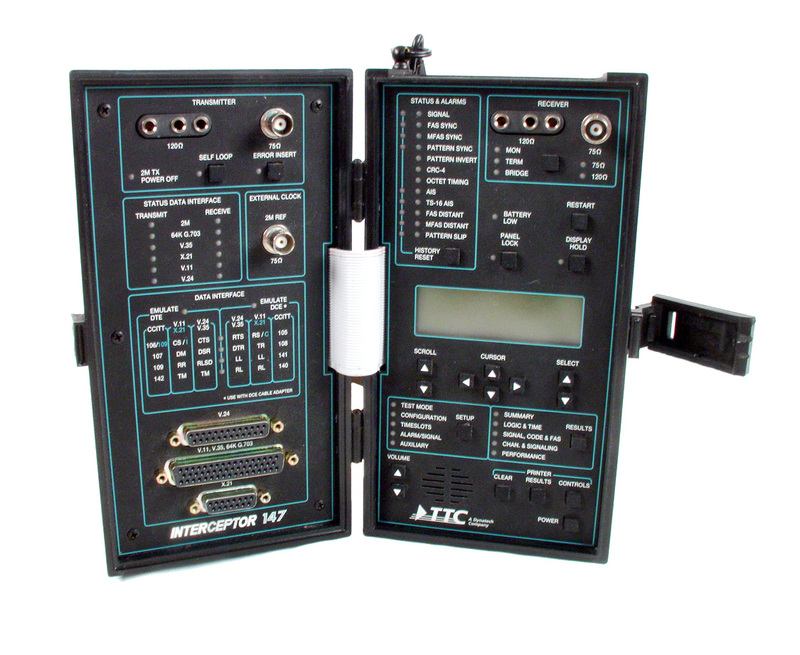 TTC ActernaT-Berd 310 Communications Analyzer for OC-3, STS-1, DS3, DS1, DS0. Includes E1 Drop. 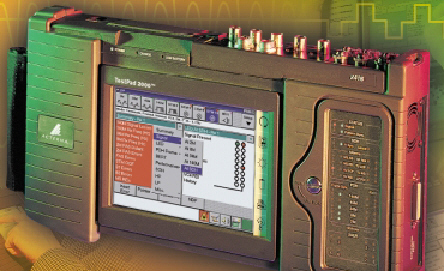 TTC Acterna 310 T-Berd communications analyzer for OC12, OC3, STS1, DS3, DS1, DS-0, and more. 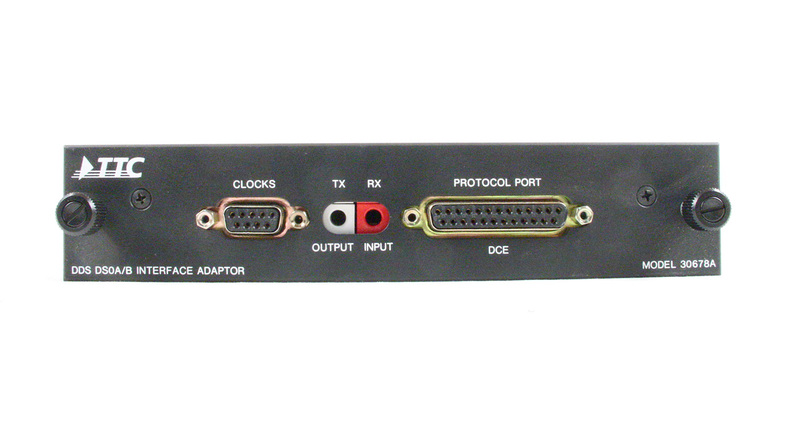 TTC Acterna T-Berd 310 Communications Analyer includes options S, 2, 6, 9B, 12, 14R, 14T, 15, 17A & 20. 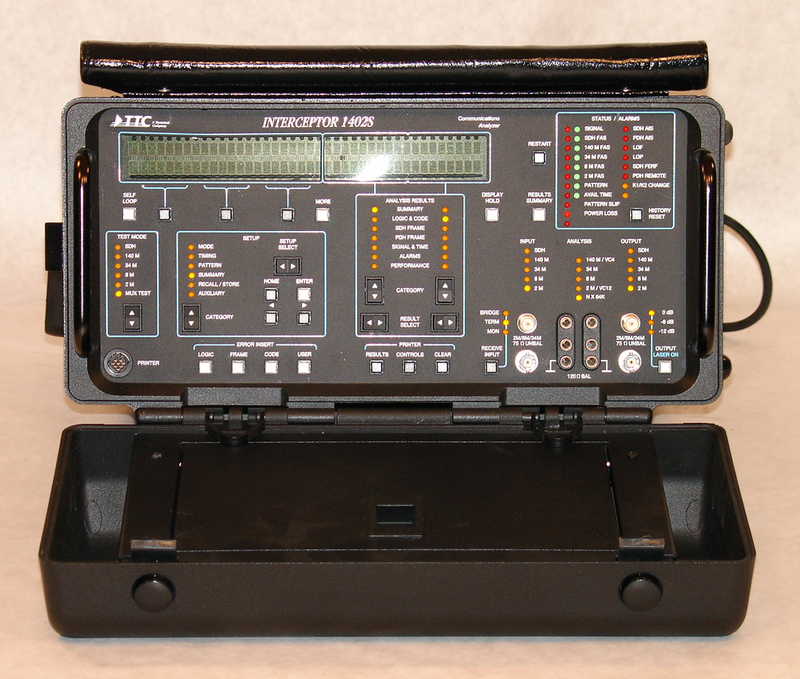 TTC Acterna T-Berd 310 communications analyzer for OC-12, OC-3, STS-1, DS-3, DS-1 & DS-0. Options included S, 1, 11, 12, 14T & 14R. TTC Acterna T-Berd 310 Communications analyzer. Includes options 310-1 and 310-6. TTC Acterna T-Berd 310 Communications analyzer. Includes options 1, 3, 9B, & 10. TTC Acterna T-Berd 310 Communications analyzer. Includes options 1, 3, 9B, 10, 13R, 13T & 17A. TTC Acterna T-Berd 310 Communications analyzer. Includes options 1, 2, 3, 4A, 5, 6, 9A, & 10.